Washington, D.C. : National Geographic, 2011. 192 p. col. ill. 31 cm. 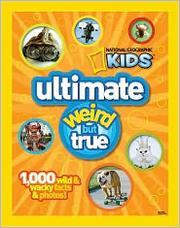 Presents facts, brief stories, photos, and illustrations showing that fact can be as weird as fiction.